Self appointed spokesman for the Egyptian “revolution” Mohamed ElBaradei is not a man to inspire confidence in pro-Western circles. As head of the U.N’s International Atomic Energy Agency (1997-2009) ElBaradei cultivated a circle of advisers, a “kitchen cabinet” – that included an accused Russian spy, Canadian national and IAEA Verification and Security head Tariq Rauf. However it is ElBaradei’s service on the Board of the International Crisis Group that should really set alarm bells ringing. A more accurate description might be – meddlesome cabal of internationalists, mega “capitalists”, socialists and communist troublemakers. Cheryl Carolus – Former South African High Commissioner to the UK and Secretary General of the A.N.C. 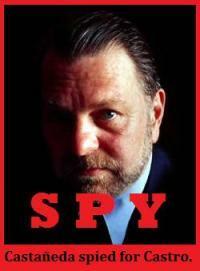 Carolus was also in the early 1990s, a member of the South African Communist Party “Interim Leadership Group”. Joschka Fischer – Former Green Party Foreign Minister of Germany. A former far left communist/anarchist activist and affiliate of several known terrorists. Oscar Arias – Leftist former President of Costa Rica. Mark Engler was Boston Democratic Socialists of America’s last paid staff person, before he moved to Costa Rica to become a speech writer for Oscar Arias. 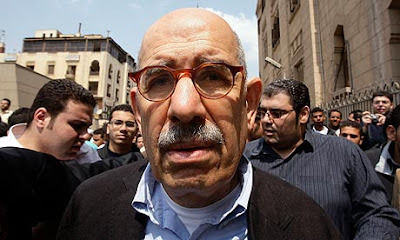 Judging by the company he keeps, is Mohamed ElBaradei likely to lead Egypt into a more open pro – Western style of government? Good info here, thanks for bringing it to light. Tweeted it several times.